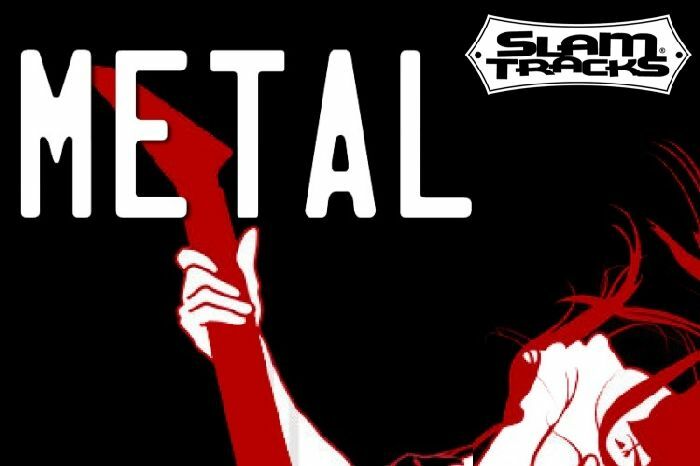 Slam Tracks Metal MIDI Drum Loops Groove Pack 1 is a powerful collection of over 750 MIDI drum loop fills for modern and classic metal. Over 750 metal grooves that will truly deliver the metal. You need straight-out power, speed, and brutality, not the wimpy “Here’s a rock loop we sped up” type grooves other companies try to pass off as metal. Double kicks on speed, double-times, half-times, syncopated or straight, the beast has been unleashed. A number of grooves include fills. These will provide some “starter” fills. A full collection of metal MIDI drum fills are available in the Metal MIDI Drum Fills Pack 1 Collection. This library is 95% grooves and is intended as a MIDI drum fill library. Available currently as GM format – other formats will be included in future updates. Metal MIDI Drum Loops Groove Pack 1 is a powerful collection of over 750 MIDI drum loop fills for modern and classic metal. Created for song writers looking for an easy-to-use collection of rock grooves that will truly inspire. Go totally brutal or bring in the sludge – it’s all here, straight-out power to the truly earth shattering. The ultimate inspiration to metal guitarists. Capture the essence of professional studio drummers in the drum VI of your choice – powerful drum loops with multiple fill and fill variations per groove folder.